I am excited to announce that my book, UNINVE$TED: How Wall Street Hijacks Your Money and How to Fight Back,” is now available! I’ve been around the financial services industry for much of my career, as a banker and borrower, investor and entrepreneur. I’ve seen how pervasive conflicts of interest, high fees, and dubious investment products and services are engineered to enrich big box financial corporations and money managers at the expense of investors. 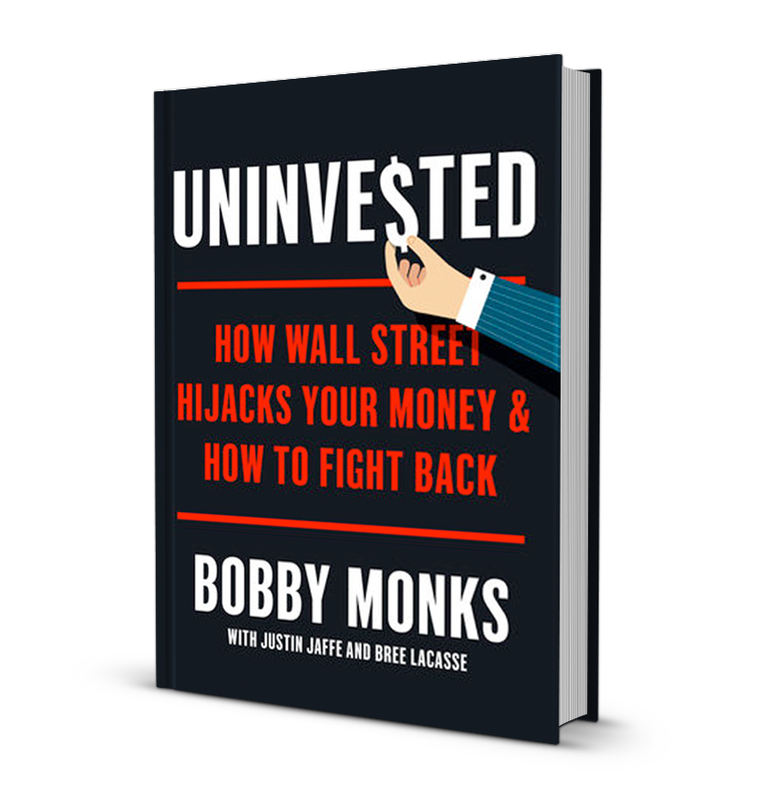 UNINVE$TED: How Wall Street Hijacks Your Money and How to Fight Back, gives investors a behind-the-scenes view of the investment landscape in order to help them confidently navigate it. Drawing on original research and interviews with key figures such as Vanguard founder Jack Bogle, legendary investor Carl Icahn, and former congressman Barney Frank, I wrote UNINVE$TED to demystify the system for investors, help them take back ownership and control of their investing, and ultimately, save them money. I encourage you to read this book. Our mission is to return power and control to its rightful owners – you and I, the investors. Purchase your copy at Amazon.com, Barnes&Noble, iTunes, IndieBound.com or 800 CEORead.